Good news for those of us still in search of our perfect foundation match: The 40-shade phenomenon started by Fenty continues with a new makeup collection by Dior. On Friday, in tandem with its Cruise runway show in Chantilly, France, the luxury brand Dior launched Dior Backstage, a professional-grade makeup collection designed by Peter Philips, creative and image director for Dior Makeup. Officially launching on June 15, the collection includes a full range of brushes; several (supposedly) universally flattering palettes for eyes, lips, brows, highlighting and contouring; and the new Dior Backstage Face and Body Foundation ($40). The long-wearing and waterproof liquid foundation not only touts the now requisite 40 shades but also features buildable coverage formulated to specifically match six undertones, encompassing beige, cool, olive, peach, pink and yellow-based complexions. It’s my star product. I wanted 16 different intensities, but particularly wanted six undertones: pink, olive, yellow, beige …. In total, there are 40 colors, so every woman can find the shade that best matches her skin tone. 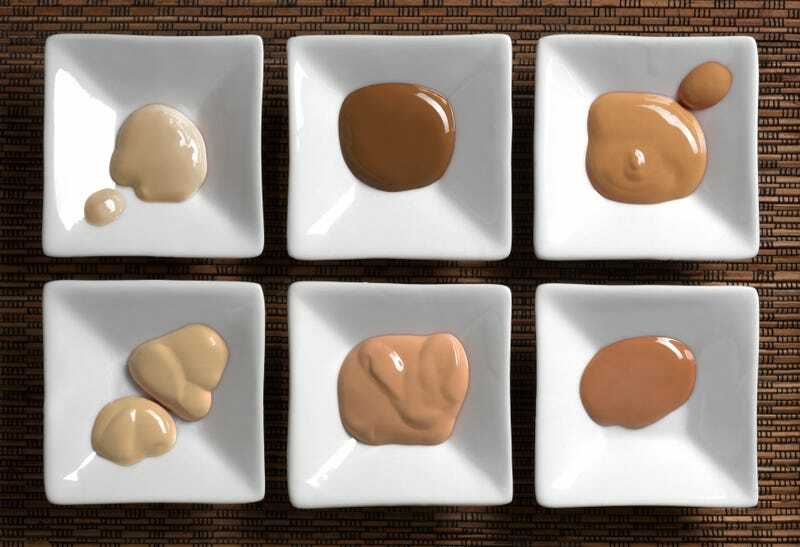 As a makeup artist I’ll often mix several foundation shades together to create the perfect color for a model’s skin. But that’s my job. So I thought, “Wouldn’t it be great if that girl could go and find that exact shade on the counter?” It shouldn’t be a problem for a woman to find her shade. ... And for darker-skinned girls, it can be hard to find those shades. And because here in Paris we are really mostly white, we went to all our different markets to get feedback on what they wanted from a foundation, all around the world. And that was the idea. Of course, now when we see a foundation line launch with a 40-shade range, we can’t help crediting Rihanna’s Fenty Beauty with upping the ante. While Fenty’s Pro Filt’r Soft Matte Longwear Foundation wasn’t the first line to have a 40-shade offering, it was the first to offer it out of the gate. But since no foundation is one-finish-fits-all, we’re thrilled that other lines are now compelled to follow suit. So where will Dior’s new line differ from Fenty Beauty’s? Well, until we get our fingers on the product, we can’t speak for the finish. But one thing we’re definitely excited about is the packaging, which is purportedly transparent (we’re hoping not too frosted), lightweight and squeezable, meaning much more control over how much liquid is dispensed and no heavy, potentially breakable bottles to contend with (for which some of us frequent flyers will undoubtedly be grateful). But while imitation is often the sincerest form of flattery, what we do know is that Dior won’t be blessed with the star power of Rihanna. So, if this line is going to be a contender, it had better be damned good.